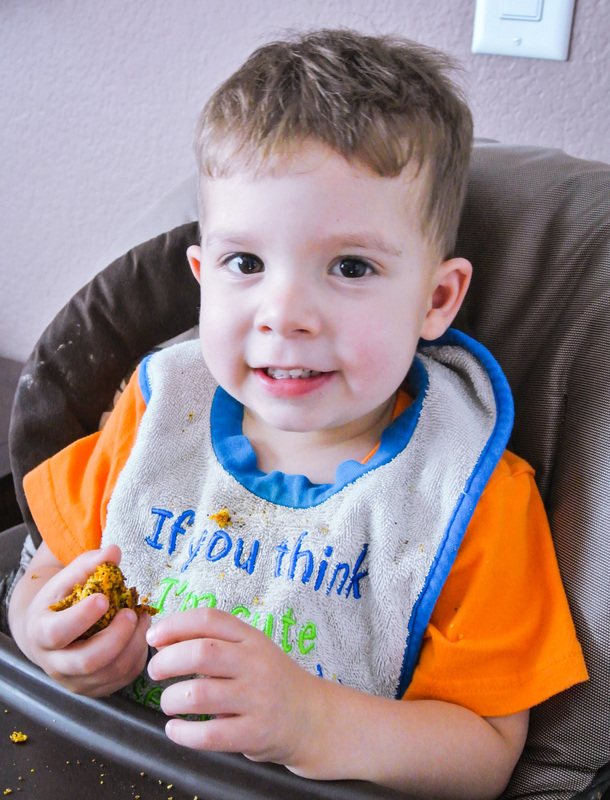 Nearly since he started eating solid food, veggie burgers and bites have been a go-to of mine for getting Nolan to eat vegetables. Hidden amongst other amazing plants—beans, lentils, grains, and seeds—he has never questioned one of my veggie-packed creations. 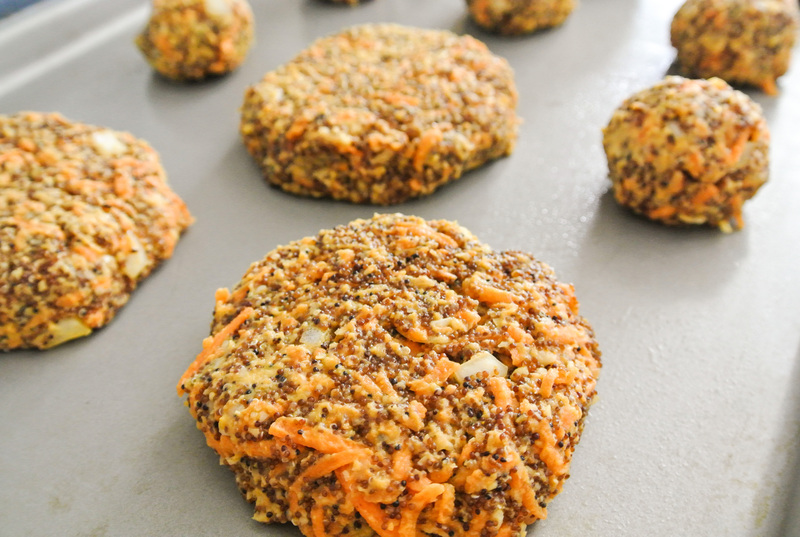 Besides being amazing baby, toddler, and kid food, veggie burgers are delicious and nutritious for everyone. I’ll admit, I very occasionally miss meat, but I rarely miss meat-based burgers. To be honest, I feel kind of nauseous thinking about the fat and grease oozing out and soaking the bun (you know how I feel about soggy bread, ya’ll!). I’ve been making my veggie burgers for my family and friends for years now without complaints…no one even asks for ketchup! Naturally, the star of a veggie burger is the vegetables. I finely chop or shred my vegetable(s) of choice and don’t typically precook it as it will cook just enough while baking in the oven. The other powerhouse in these burgers are whole grains, which I use in many of my formulas, from my curry to multi-grain salad. The grain of the day for this rendition is kaniwa. I’m new to kaniwa and thought I would give it a try when I noticed it on sale in bulk next to the quinoa. 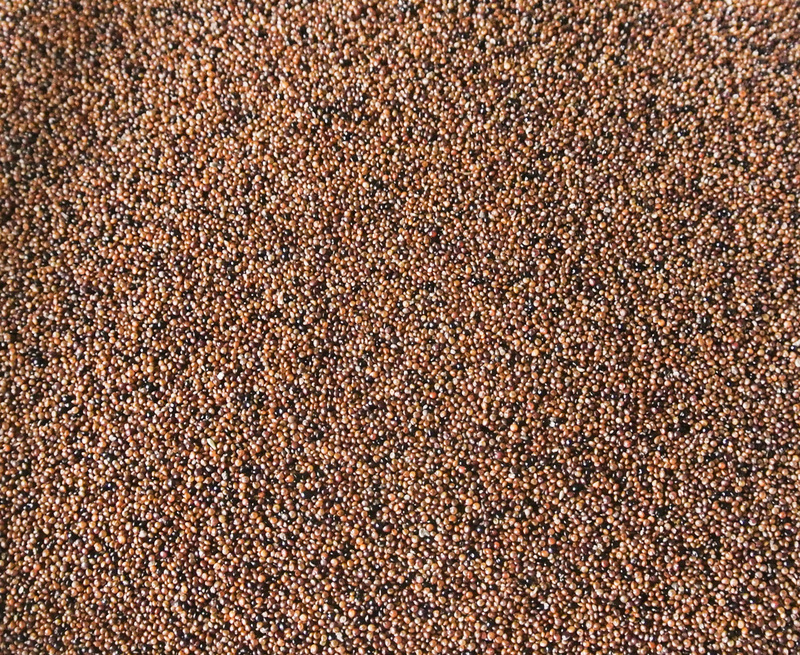 A smaller grain that is more like a seed, kaniwa is similar in taste and texture to quinoa. It contains high levels of flavonoids and makes for an excellent gluten-free substitute that contains B vitamins and other nutrients coveted in whole-grain wheat. Like many other grains, it is also packed with protein and fiber. Speaking of protein, I have found that beans or lentils are an excellent “glue” (along with an “egg”) for veggie burgers and bites. Since I don’t use a chicken egg and breadcrumb combo typical of meat patties and balls, I needed something else to bring the other ingredients together. I puree my beans or lentils like a hummus before combining them with vegetables, grains, seeds, and spices. 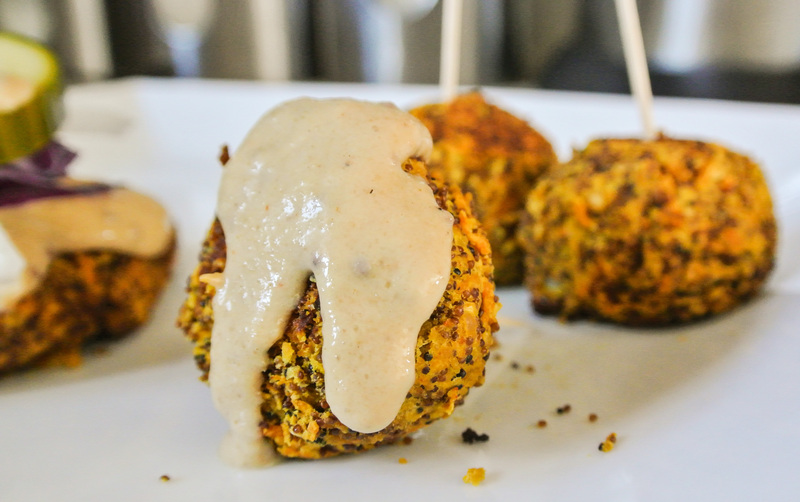 One of my favorite things about this formula is that the burgers can be assembled quickly if you have precooked grains, beans, and lentils on hand. I often, for instance, cook up a big pot of quinoa when I’m making my super food breakfast muffins knowing that I’ll use the extra quinoa in another dish later on. Try and plan ahead when you can. 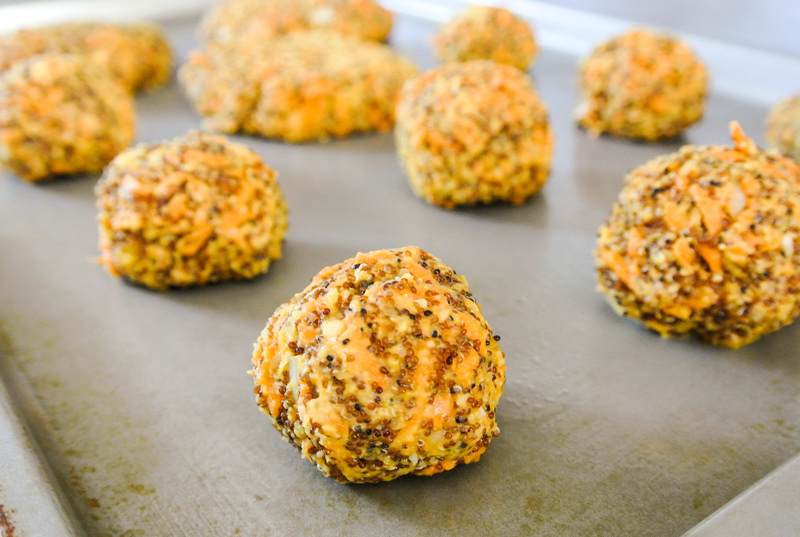 While I typically shape my veggie burger dough into patties or “meat” balls, you could certainly experiment with other shapes if you’re using this formula for entertaining as an appetizer or to entice a picky little eater. 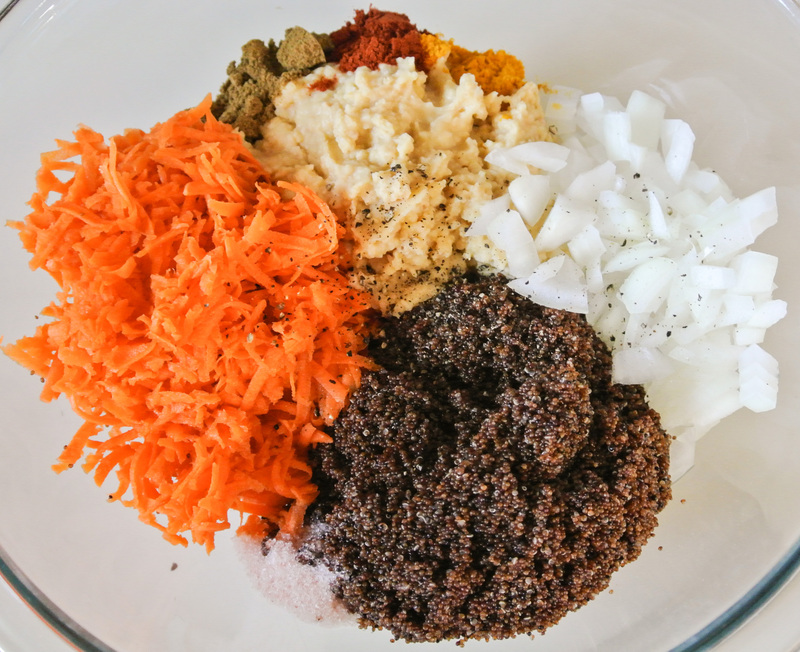 Additionally, the flavor combinations are endless; this formula was born from black beans and quinoa with onions, corn, and bell peppers and today, will be a chickpeas and carrots with onions, garlic, and cumin. Experiment and enjoy! 2 cups finely chopped or shredded raw vegetables –> I’m using ¼ of a small yellow onion and 1 ½ cups of shredded carrots. 1 cup cooked whole grains –> I’m using kaniwa, cooked in homemade veggie stock. ¼ cup+ liquid for pureeing beans/lentils (i.e. homemade veggie stock, citrus juice, water, unsweetened and unflavored plant milk, oil, etc.) –> I’m using lime juice and a splash of extra virgin olive oil. 1 “egg” (1 tbsp chia or flax seeds + 3 tbsps hot water) –> I’m using chia. 2-4 cloves raw garlic –> I’m using 3. 2 tsps herbs and spices –> I’m using 1 tsp cumin, ½ tsp turmeric*, and ½ tsp paprika. Pink Himalayan sea salt and fresh ground pepper to taste –> I’m using ½ tsp salt and three grinds pepper. If you need to, cook your grains, beans, and/or lentils first. Once they are finished, preheat your oven to 350 degrees. Puree the cooked beans/lentils with the garlic until smooth. Finely chop or shred your vegetables (peel first if necessary) and use a wooden spoon to combine all ingredients except the egg. Massage the egg in with your hands. A thick dough will form. It should be sticky enough that all ingredients remain together, but not so sticky that your hands are pulling it apart in trying to form shapes. Lightly grease a baking sheet and assemble patties and/or bites. Cook times will vary depending on shape and thickness. It takes me, for example, typically about 40-45 minutes for patties or shapes of comparable thickness, flipping halfway through. Set a timer for twenty minutes to start, check back often, and flip as necessary until your burgers or bites are of a cooked and palatable consistency. These burgers are so dense and filling that I eat them bun-less, but you can certainly serve them with your bread of choice. Top with my creamy salad dressing, pesto, or hummus and fresh vegetables. Travis particularly loves these with my low-sodium pickles on top. 🙂 If you’re serving bites, use one of these sauces as a flavorful dipper and spear with toothpicks.